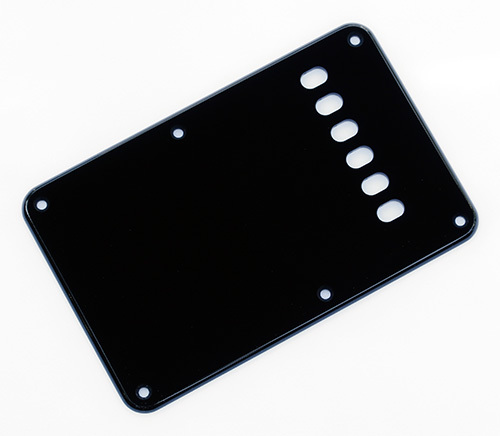 Custom manufactured Strat® back plate. 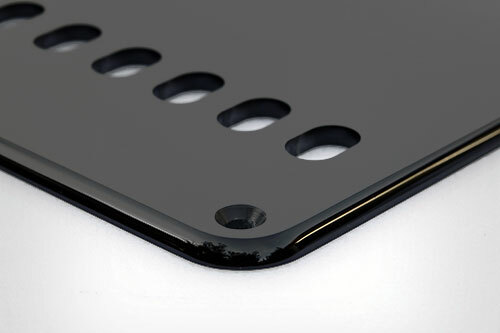 Black 1 Ply 0.120" Acrylic with a Rounded and Polished Edge. Vintage style six oblong holes for strings to pass through. Available in left or right handed versions.